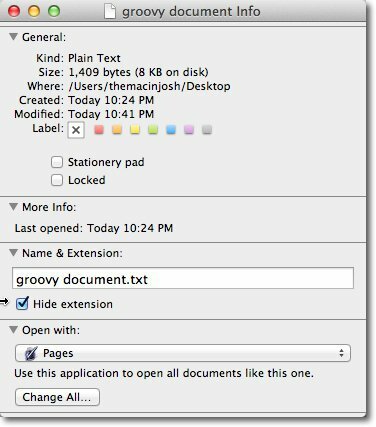 There will be times when you want a certain application to open a specific file type. 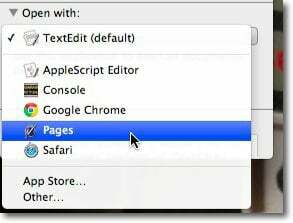 For example, if you have Pages installed, you might not want OS X to open a document in TextEdit. 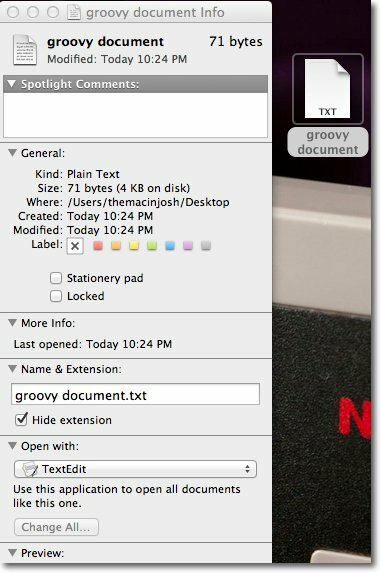 Here’s how to change which programs open different file types. First, click to select a file and press command + I to show its properties. Under Open Wth click on the drop down menu. Select the program you want to use. If the Application you prefer isn’t on this list, click Other. 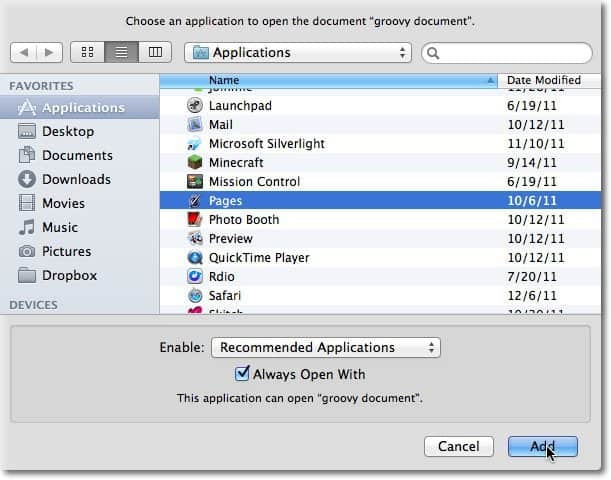 This lets you choose from any of the applications on your Mac. To make the program the default for this file type, check Always Open With. Click Add. Now when you click a file, hit Command+I to get info, you’ll see the default program listed under Open With. To ensure that this will be your default app click Continue on the confirmation screen.